We’ll Exterminate Your Cockroaches Fast! Cockroaches in the home are enough to send many people running for the hills. Nobody wants to live in a house with these pests, yet they are all too common in America. They are easily brought into the home in a box from a store, via a grocery bag, or in numerous other ways. When a home has these pests, it’s time to call the professionals in immediately. Cockroaches tend to be sneaky little creatures who can survive numerous treatment attempts, thus this is one task no person should take on alone. Cockroaches tend to be over two inches in length, although size does vary by species. All have the two antennae and six legs associated with bugs of this type, and some species do have wings. People often assume the wings allow them to fly, but this is one skill the majority of these bugs lack. Their body is flat and shaped like an oval and, if a person touches them, the skin feels oily. They have specialized pads on the feet that give them the ability to walk on walls and ceilings and may be found anywhere in the home. This remains a question many humans would love to know the answer to. What people often don’t realize is certain species are beneficial to the planet, as they help to recycle organic material that is decaying. Obviously, however, some species carry diseases that are harmful to humans, and these are the ones that should be eliminated from the home. They are most often found in a kitchen or where waste is deposited. Also, these creatures tend to produce an unpleasant smell, and some make sounds that annoy humans. Cockroaches enter a home in a variety of ways other than those mentioned above. If there is a crack or crevice in the foundation, the pests can easily get in. Drain pipes, sewer lines, and vents are other means of access these bugs take advantage of. They are looking for a place that is warm, provides access to food and water, and offers somewhere they can nest. Why Do They Become So Invasive? Cockroaches breed rapidly, so seeing one in the home typically means there are numerous others hidden in walls and floors that cannot be seen. They prefer to come out at night when it is dark, so any sign of cockroach activity during the day is cause for concern. This often means there isn’t enough space for all of them and they are searching for new places to hide. As a result, the home likely has a severe infestation. Cockroach droppings and saliva have been linked to different allergens, and this can be a problem for those individuals susceptible to asthma. In fact, research shows that individuals have a higher rate of asthma when roaches are present in the home, and a study conducted in 2005 discovered that allergens produced by cockroaches are more dangerous than other asthma triggers. For this reason, any person who finds evidence of these pests in their residence immediately needs to vacuum the entire home and clean any areas that may be affected with soap and warm water. Doing so can help to lessen the allergic reaction for those who are at risk. Upon completion of this task, it’s time to call in the professionals to remove the bugs once and for all. Another question many individuals have when it comes to cockroaches concerns whether they will bite humans. Thankfully, this does not need to be a major concern, as cockroaches prefer other materials to feed on. If they do bite, this is often a sign of a severe infestation and a lack of food to satisfy the pest population. This isn’t very common, however, as pest control professionals are usually called in before the problem reaches this point. In the event a cockroach does bite a human, they may notice a lesion and some irritation or swelling. In rare cases, a minor wound infection may develop, but the biggest risk is to those who suffer from asthma. Cockroaches know how to hide from humans, thus eradicating them from a home is often a difficult task. In addition, the eggs feature a natural protection that ensures over-the-counter insecticides won’t do them harm. 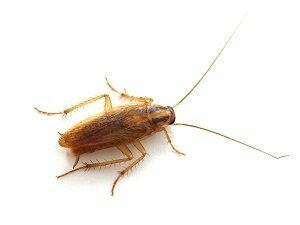 For this reason, when a cockroach is spotted in the home, it’s best to contact Beeline Pest Control immediately. Also, take steps to remove clutter and mess from the home, as any mess makes the residence more hospitable to these bugs. Together, we can eliminate these creatures and keep them at bay so you can have a comfortable home to live in and one that is inviting to those guests who are welcome. Contact Beeline Pest Control to eliminate the cockroaches in your home. You can reach us at 801-204-9134.